#7 Market with TWO #1 Volume Dealerships -- Marc Motors Group & CBC! #7 Market with TWO #1 Volume Dealerships — Marc Motors Group & CBC! Marc Motors Nissan was #1 in Maine – 33% ahead of its closest competitor! Marc Motors Chrysler Dodge Jeep Ram was #1 in Maine – 38% ahead of its closest competitor! Marc Motors Group is no stranger to being #1. Marc Motors Nissan has been the #1 Nissan dealer in Maine 6 of the last 7 years! To learn more about Marc Motors Nissan’s meteoric rise to prominence, click here. 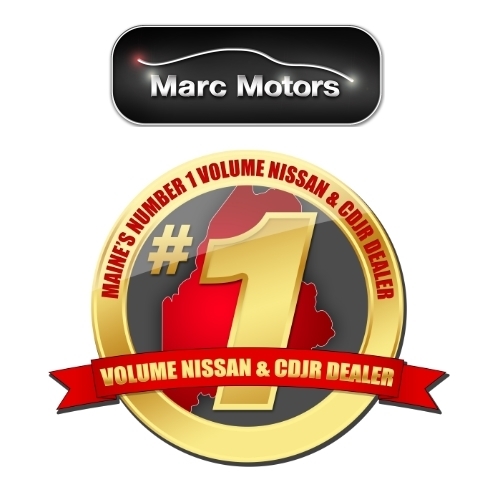 And Marc Motors CDJR, which only opened its doors 7 months ago, has earned the #1 title for 2 of the last 3 months! To learn more about why Marc Motors CDJR is off to such a fast start, click here. CBC would like to congratulate Marc Motors Group. We’re proud to be a small part of their large success!! Whether you sell 30 or 3,000 cars a month, if you have your dealership operations in order, CBC can help take you to the next level. Let’s have a conversation.